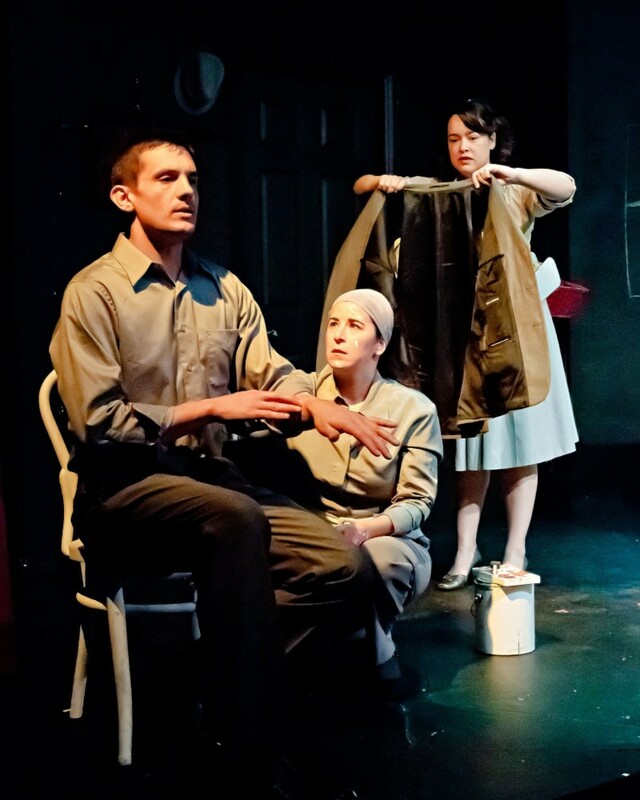 Moving Arts presents “LIGATURE: An Evening of 5 Short Plays” as part of their 16th Annual Premiere One-Act Festival. These premiere plays (3 World Premieres, 2 West Coast Premieres) explore the ties that bind us and the decisions we make to change our lives. 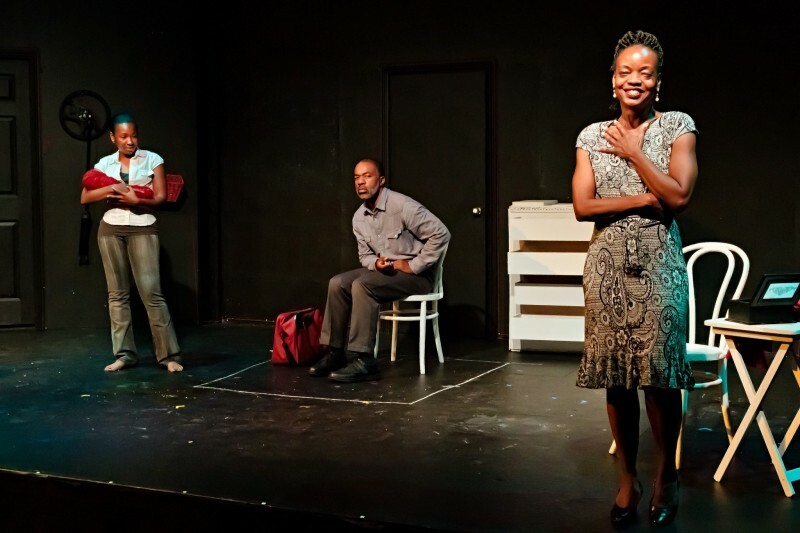 Some comedic, some tragic; all five plays are bold and express an emerging playwright’s unique theatrical voice. Katie, a failed vending machine repair woman, mattress salesman, and deer hunter embarks on a search for some color in her life. When 8 year old Johnny, his mother and her ex-con boyfriend go on a mysterious road trip, questions are unanswered and Johnny’s world is turned upside. Three lonely people struggle to rebuild their lives tangled by hope, loss, and desperation. An ambitious mobster and his faithful but dim henchman are approached by an aggressive young woman, who has her sights on a new career. 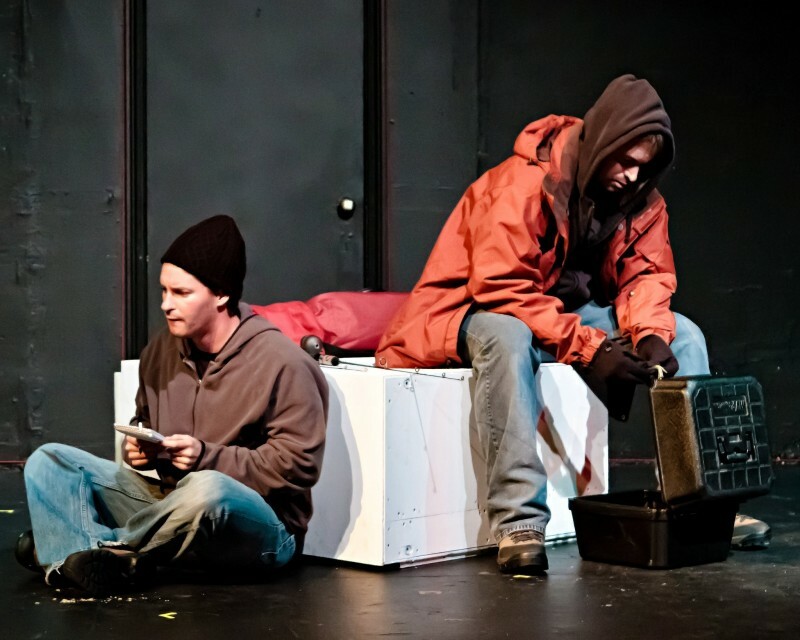 Two brothers on an ice-fishing trip confront long-buried resentments and their tragic past.